South Devon Osteopaths have DoH qualified provider status to provide neck and back care services on behalf of the NHS. We are currently contracted by Kernow CCG to provide this service specification with clinics based in both Community Hospital and GP Practices. We provide an equitable, flexible client based service for patients with neck and back care in keeping with the DoH AQP service specification. Increases access in community based settings with appointments available outside normal working hours. Has a high level of patient satisfaction and excellent clinical outcomes with low onward referral rates. Our patient outcome measures, pre/post psychometric questionnaires and satisfaction surveys allow SDO to continually monitor clinical outcomes, patient feedback and staff performance. We aim to provide an equitable, accessible, standardised service across any locality. SDO Ltd has comprehensive policies and procedures pertaining to corporate and clinical governance and information control that meet the standards set out in the DoH service specification. Fully compliant with monthly SUS data submissions. April 2012 September 2015- contracted by West Hampshire and Southampton CCG’s to provide neck and back clinics under the DoH AQP MSK neck and back service. April 2009 > May 2010 SDO Ltd provided community based clinics to Devon PCT based in both primary and secondary care settings in Southern Devon. 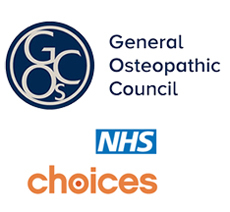 These clinics took referral for spinal pain by GP referral on choose and book. Data collected indicated a reduction in local outpatient Physiotherapy waiting lists, reduced secondary care referrals while increasing patient choice in a local community setting. An evaluation can be supplied which include references from the PCT Commissioners. For any further queries please contact Paul Hatton, Service lead. NHS Qualified Provider for neck and back care services. SDO publish quarterly outcome and patient satisfaction data on our blog.